The new Aardvark Retractable was designed to provide exceptional value to the marketplace. and you are looking for a down and dirty product that will simply get the job done, the Aardvark is your answer. costly repairs and frustrated employees. This added flexibility makes the retractable easier to use. durability to the retractable. This superior, advanced manufacturing process is cost effective, yet delivers the dependability you require. 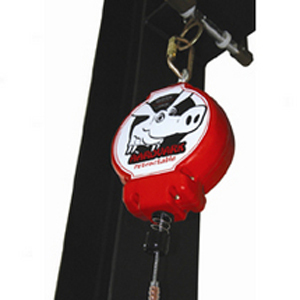 system designed to limit fall arrest forces.